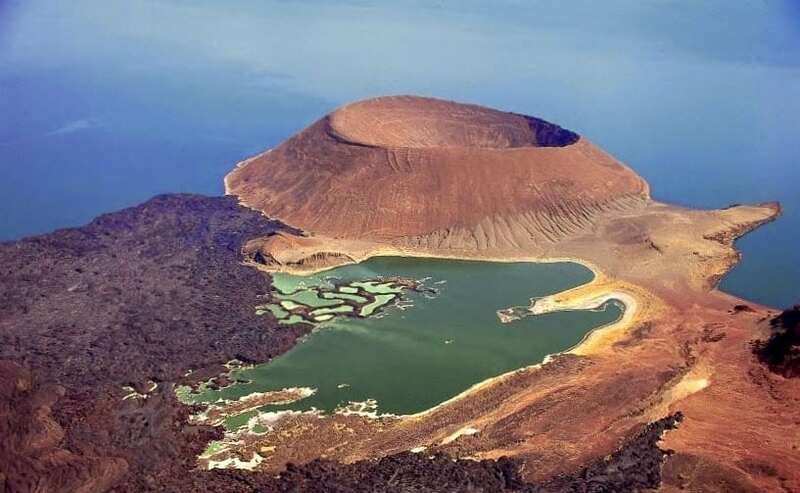 The Nabuyatom Crater, in Lake Turkana, is actually a volcano that collapsed. This lake is the fourth largest salt lake in the world. The area is known as The rift valley which is home to buffalo, giraffe, zebra and a large number of giant crocodiles.